Mrs G's Hot Pepper Jellies is a product I have mentioned a few times here at DMC. It not only is a product I photograph, but it is a product I use quite often! 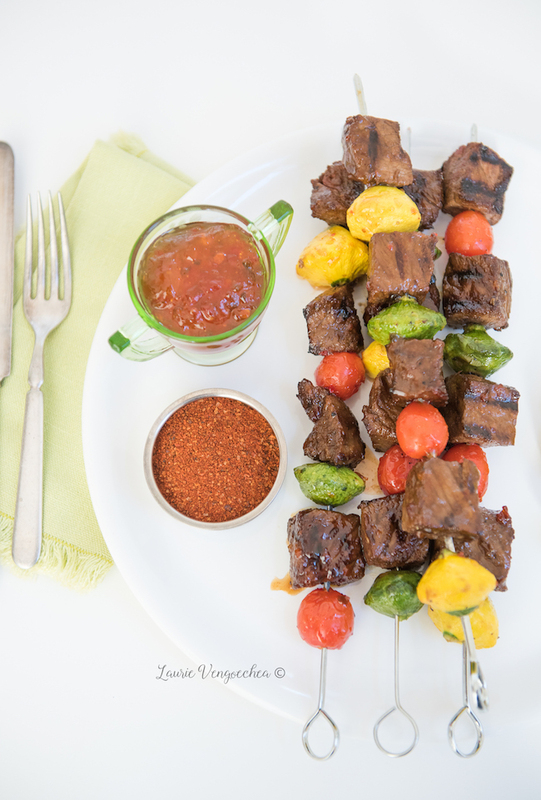 It makes a beautiful glaze for biscuits, a sweet and spicy addition for seasoned nuts, and as we've used hear for beef skewers, a wonderful addition to a tangy grilling sauce. But please.. PLEASE don't hesitate to eat it alone by the spoonful!! It's that YUMMY and perfectly balanced with heat on sweet! Be sure to check out some of her other amazing flavor pairings and recipes!